Files Go has been helping millions of people around the world free up space on their phone by removing junk files, old apps and forwarded chat media—such as the famous “good morning” memes from India. However, in our most recent research, we noticed that there was something else taking up a lot of phone memory. It turns out people are also receiving a lot of very bad jokes from friends and family, leading to lots of daily frustration. Today we’re proud to introduce the Bad Joke Detector. 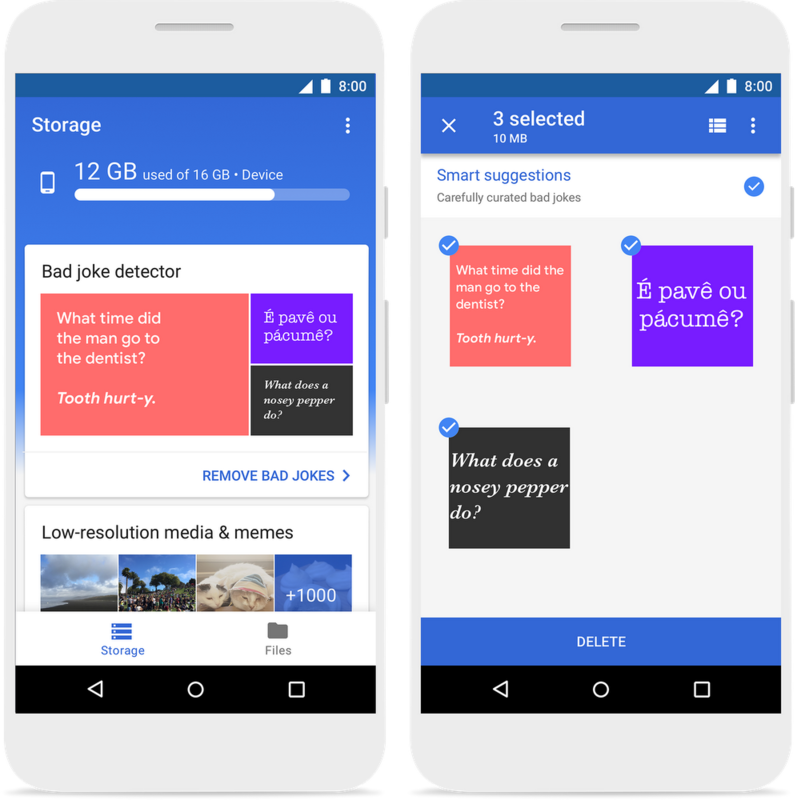 Using a custom-built deep neural network, Files Go can scan your smartphone for jokes with your permission, identify the bad ones and delete all of them with a single tap, freeing up space for more important things—like better jokes! We hope this new feature will bring pun back into your life. Give it a try at g.co/getfilesgo.